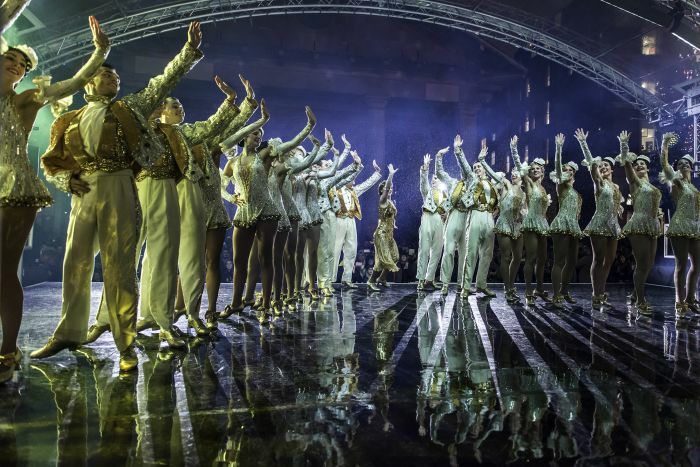 They’re the multi-talented stars of the West End’s biggest cast, but the brilliant performers of 42nd Street yesterday (Tuesday 14 November 2017) lent their toe-tapping light to the Covent Garden Market stage, as they took centre stage at the ceremony for the Christmas lights switch on. 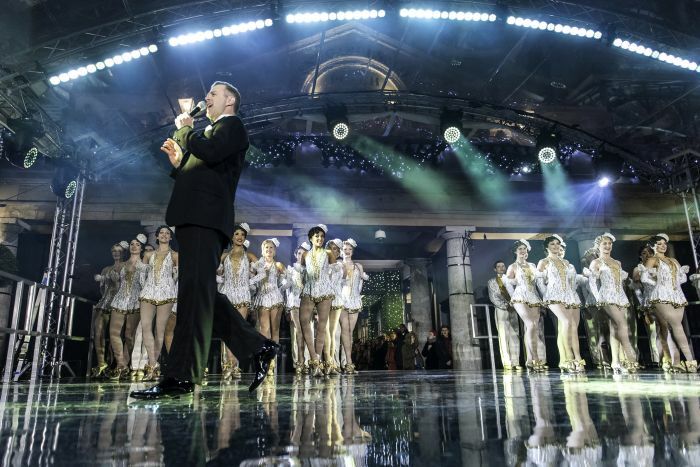 And with performances from the likes of leads Tom Lister and Clare Halse, the spectacular show duly illuminated the whole of the West End piazza. You can see snaps of the show below. The lights themselves were turned on by Covent Garden royalty in the form of singer Kylie Minogue and make-up artist Charlotte Tilbury. The show is currently booking at Theatre Royal, Drury Lane until 20 October 2018. Book your 42nd Street tickets today!